Many, many many years ago when world war 2 was approaching and wifi wasn't even a thought, my grandparents were born. In Greece. They were Greek. Just Greek. My grandfather whom I've never met and is still described to me in family stories and memories as being one of the kindest people around, was named Evangelos. He was born in a small village, on the biggest island in Greece, Crete. My grandmother with whom I have had the privilege and opportunity of getting to learn from and be guided by is named Adamantia. At 82-years-old she's still what we like to call a 'go-go-granny'. And boy, when she goes, she goes. Yiayia, as I like to call her was born in Greece's capital city, Athens. So far, my family's very much Greek. There's no sprinkle of South African anywhere. So, when and how did that change? 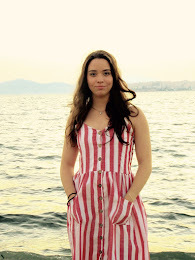 Life in Greece got hard and opportunities for the youth dwindled. As so many migrants do, my grandparents left home in search of the old cliche- better opportunities. Both yiayia and pappou left their homeland of Greece behind and ventured very much into the unknown, alone, as so many other Greeks did. They hadn't met each other yet, and were only to meet in a little while longer, but this trek to South Africa changed all their lives- and mine too- which can only mean two things: That's the start of South Africa in this double-barrelled story and essentially, I'm the granddaughter of migrants. Life in South Africa couldn't have been easy for my grandparents; At first, they knew no one other than the 1 distant acquaintance who was to receive them and take care of them in South Africa. Neither of my grandparents would have spoke any English or had so much more than a 'dime' to their name. But, life doesn't really stop- not even when it gets hard. People still find reason to meet, go out and as the Greeks do- have a coffee! That's one thing that hasn't changed; Never get in-between a Greek and their coffee. Never. Just don't. In the furtherest possible place from their home, many Greeks like themselves started to build a community- a Greek community. At a shindig one day, Evangelos and Adamantia met. I won't tell you about how (despite their 20 year age difference) they fell in love because if they hadn't, I wouldn't be writing this today. Something that I only recently found out is that every Greek that left to South Africa had the intention of returning 'home'. Their trek to foreign and far-away lands was only meant to be a short stint that would see them soon heading back in the direction of 'home'. The reality is this: some Greeks found life on the other side not all that they hoped it would be, and returned home. 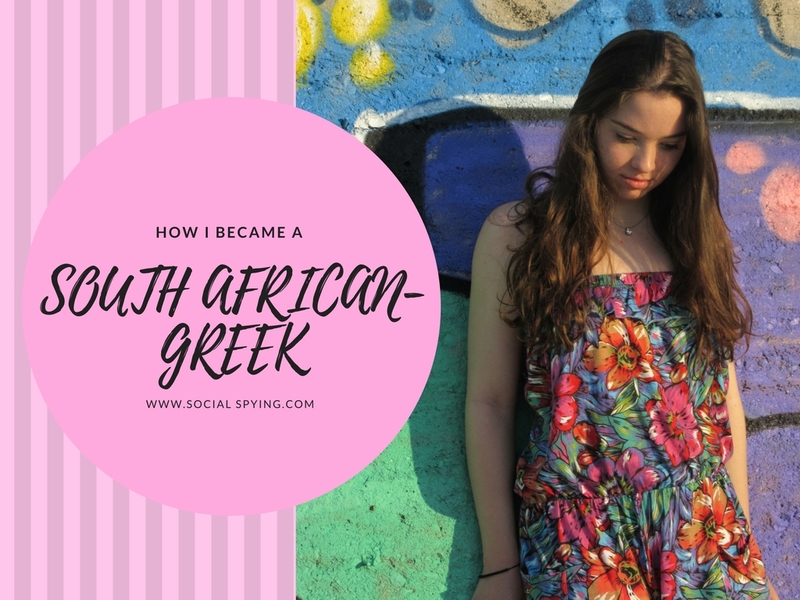 Others (like my grandparents) endured very difficult days but stuck it out until they found South Africa to be 'home', but as I've mentioned in this post Greece would always be their 'home home'. Two generations down and my family is still in South Africa, double-barreling nationalities and all. I like to think that every year, even if just for a holiday, I make the trek back to Greece, to remind me of 'home'. Notice how Greece is just 'home'? South Africa is my 'home home'- but being raised in a country would make a country worthy of a double 'home' title. As I've done only three times before, I recently went back to Crete which scratches a whole lot off my summer Bucket List, I returned to the village- and more specifically the house where my grandfather was born and at some stage lived with his 9 other siblings and his parents (and it's a small house, a very small house). I think I understand his need to want to get out of there. Visiting Crete means I scratched off visiting an island. I then visited my grandfather's village (coincidentally ticking off the 'visit a village' bullet) . I have cousins which means I experienced the Greek nightlife- that went hand in hand with trying a watermelon-y summer cocktail (which was tantalising to the tastebuds). I had to go on a boat (which scratches another thing off). As one does in a village, I went with my aunt to collect chicken eggs from the coup. To top it all off, I helped a confused tourist with directions! It was so lovely being back, and re-planting my roots. So, that's 7 things ticked off my list- many more to go. I get excited at the mention of Boerewors and biltong -South African delicacies, but I do the same at the utterance of Greek food, Greek dancing and olive oil. But, I guess that's what you get when you're a South African-Greek. How did your family come to find themselves where they are today? Did any one make a big jump across a pond or some other kind of body of water (even a puddle)? We must be one of the most diverse countries in the world- and I love it! This is so cool! I think it's fascinating to hear everyone's stories about their heritage. My dad came over to the U.S. with his family from Vietnam - my grandfather was the ambassador of Vietnam and they transferred to the U.S. embassy. Years later, he met my mom! So I'd definitely consider myself a fruit salad too haha. What an incredible story. It's funny how we all end up in weird and wonderful places. Thanks for sharing your story, Susie! This was such a lovely read! My mum is massively into genealogy, so I know that she'd find your story fascinating and love nothing more than to track your whole entire family history. I'm afraid that my family story isn't that exciting. As far as I'm aware, a lot of my family tree was born and raised in England, and while that's all well and good, it's not South African-Greek. But it'll do! Haha, your mom sounds like a wonderful woman! That's still wonderful! There's nothing wrong with being from one country- that can still be very exciting, too! This was so interesting. Thanks for sharing! I'm very happy to share this with you, Jennifer! Great post ! The pictures are so pretty ! This is really cool! Well, my moms parents were born and raised and met in Egypt. Mu aunt was born their but after that they moved to the US which was where my mom was born. They all speak amebic to each other and it is very cool (I am trying to learn and failing). My adda on the other hand is very much American and both his Parents were born in the US. So I am kind of a fruit salad as well. If a fruit salad can have two ingredients. I don’t I’m confusing myself. Awesome post! KEEP TRYING TO LEARN, N! It'll be the best thing and something you'll be so happy you did! It sounds like a lot of us have a bit of a fruit salad situation going on! I love it; The world is so big and simultaneously so small! What a fascinating post! I loved reading about your heritage and these photos are perfection! I enjoy writing about South Africa and my past. I'm just glad you enjoy reading this type of content! I can see you love the clash of two cultures. Nice story to read-very interesting and sick! Bringing some history onto your blog-I LOVE it! Haha, I think you're right... I do quite enjoy the clash! You've been to Crete! Where? As someone who borned and love in Greece loved this post! !I will agree with you in everything! !We have distance relatoves who moved in South Africa for the same reasons and basically stayed there forever!I guess was quite weird coming from there to here,in Greece,i mean when it comes to the lifestyle and everything!! The life style is definitely very different! There are several thousand Greeks in South Africa so I'm sure some relatives ended up there! Thanks for stopping by, Afrodite!